A balanced or chromosomal translocation is a condition in which part of a chromosome has broken off and reattached in another location. In other words, it means that sections of two chromosomes have switched places. Translocations can be completely harmless or they can cause serious health problems, depending on the circumstances. In the case of the former, many people can have translocations without being aware of the condition. This is usually the case for reciprocal (or balanced) translocation, a type of chromosomal translocation that increases the risk of recurrent miscarriages. With this review, better your understanding of what a balanced translocation is and the potential impact it may have on a pregnancy. In a balanced translocation, a person usually has all the genetic material necessary for normal growth -- a piece of a chromosome is merely broken off and attached to another one. However, when that person's cells divide to create an egg or sperm cells for reproduction, the egg or sperm cells can end up with extra genetic material or missing genetic material, which could lead to miscarriage depending on which chromosome and genes are affected. In about 4.5 percent of all couples with recurrent miscarriages, one or both parents has a balanced translocation. Research has shown that couples with balanced translocations are more likely to have miscarriages than couples without balanced translocations. There's some evidence that balanced translocations involving specific chromosomes are more likely to cause miscarriages than others. A balanced translocation is diagnosed through a test called a karyotype in which blood samples from both parents are analyzed looking for the translocation. Some research suggests balanced translocation in the mother is most likely to be associated with recurrent miscarriages, but fathers can be carriers as well. There is no cure for balanced translocation, and in most cases, the only adverse effect on health is recurrent miscarriages. For couples affected by balanced translocation, odds are in favor of a successful pregnancy at some point, but repeated miscarriages can obviously be difficult to cope with emotionally. Recurrent miscarriages can also have physical consequences. For some women, repeated miscarriages can cause complications, such as build up of scar tissue after a D&C. Accordingly, couples with a known balanced translocation who fear both the emotional and physical trauma repeated pregnancy loss can cause may want to explore more high-tech means to carry a pregnancy to term. In some cases, couples with balanced translocation can opt for a treatment called preimplantation genetic diagnosis (PGD). 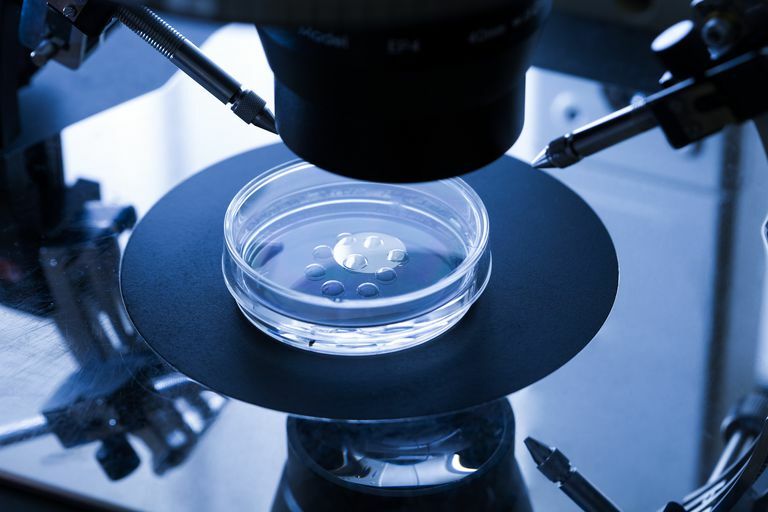 In PGD, the couple conceives via in-vitro fertilization along with gene testing of the embryos to be sure that they do not have an unbalanced translocation. PGD and IVF are both very expensive, however, and not covered by insurance much of the time, which is another reason why many couples are forced to keep trying without intervention. That being said, you may be able to obtain loans that will help pay for these procedures, apply for grants for couples in need of IVF or save up the money yourself and report your medical expenses as a tax deduction if they exceed 10 percent of your adjusted gross income. Gardner RJM, Sutherland GR, Shaffer LG. Chromosome abnormalities and genetic counseling. 4. New York: Oxford University Press; 2012.